Raipur resident Shrimant Jha has won the bronze medal in the Para-Armwrestling World cup (for the disabled) held recently at Poland. 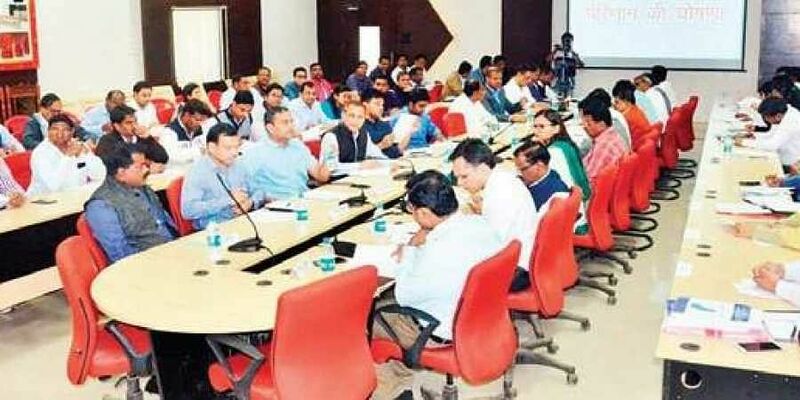 Ahead of the counting of votes on December 11 across Chhattisgarh for 90 assembly seats, the officials to be deployed for the purpose are being imparted intensive training on the intricacies of counting and its related process. It covers an in-depth understanding on how to handle the electronic voting machine (EVM), VVPAT, counting of votes, tabulation and data entry, appointment of counting personnel and counting agents, counting of postal ballot, declaration of results and follow up actions. There will be video recording in all counting centres. Officials comprising returning officers (ROs), assistant retiring officers (AROs) and district level polling staff are receiving training. Information officer for the United Sates Consulate General in Mumbai, Nicholas Novak, highlighting the role of journalists who “question and uncover truths”, said on Monday that the media should remain sincere and true to its readers and that mediapersons play a crucial role as a bridge between the government and the people. Interacting with the students of the Kushabhau Thakre University of Journalism in Raipur, Novak said he felt that the print journalism remains the strongest despite the challenges from new media sources and that it is the foundation for all other forms of media. He added that radio as a medium also has a future. “More than the reporting facts, its the depth in writing and analysis that assumes significance,” he asserted. Raipur resident Shrimant Jha has won the bronze medal in the Para-Armwrestling World cup (for the disabled) held recently at Poland. He was participating in the 'disabled standing men 85Kg category' and secured 3rd position in the event. In the past also, Jha, a junior engineer in the Raipur division of Jindal Steel Power Ltd machinery section (JSPL), has won awards in various international and national sports meets for physically challenged people. The leaders and cadres of the party securing a majority on December 11 in Chhattisgarh may not be able to burst firecrackers to celebrate the occasion. The reason being, the ban imposed on bursting crackers by the Chhattisgarh Environment Conservation Board (CECB) for two months from December 1 across the major cities of the state including Raipur to check pollution. On the day of Christmas and New Year, fireworks will be allowed with prior permission from 11:55 pm to 12:30 am. The CECB stated that the pollution increases in the state during winters owing to the direction of the winds and also with the cold weather setting in, the extent of air pollution is usually higher compared to summer season.